Reiterating its earlier claims, Standard Chartered Bank (SCB) on Tuesday sought to be treated equally with other members of the insolvent Essar Steel Ltd's (ESL's) committee of creditors (CoC) during repayment of dues under ArcelorMittal's takeover bid. Alleging that while rest of the 26-odd CoC members were being paid 92 per cent of their dues, SCB told the National Company Law Tribunal's (NCLT's) Ahmedabad Bench that it was being discriminated under the bid with only 1.7 per cent of its total claims set to be repaid by the LN Mittal-led company. SCB's legal counsel on Tuesday told the two-member Bench, comprising adjudicating authorities Harihar Prakash Chaturvedi and Manorama Kumari, that in the Rs 42,000-crore bid made by ArcelorMittal, CoC members led by State Bank of India (SBI) were being paid the full in principal amount and 40 per cent of interest accrued, totaling roughly Rs 41,900 crore. As against this, SCB, which was being excluded from the CoC and not counted as a secured financial creditor, was getting a paltry Rs 60.71 crore against its total claims worth roughly Rs 3,500 crore, including interest. Members of the CoC had objected to SCB being declared as a secured financial creditor on the grounds that Essar Steel was neither a direct corporate debtor of SCB nor did it offer any collateral. 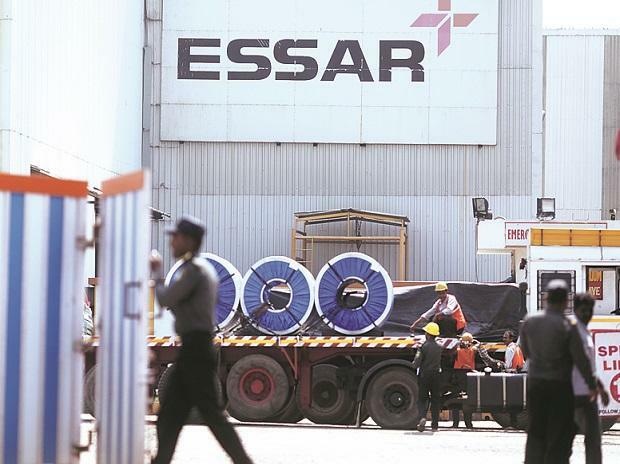 Essar Steel had defaulted on its guarantee for SCB's loan to its Mauritius-based subsidiary Essar Steel Offshore Ltd.
SCB's counsel also alleged that while the CoC meeting on October 22, 2018, was held to discuss the resolution plan submitted by ArcelorMittal, the final plan, including commercial aspects, was only presented on October 23, 2018, minutes before the voting on the plan began. The CoC also appointed a four-member sub-committee to renegotiate the plan with ArcelorMittal, while keeping SCB in the dark, the latter told NCLT. SCB alleged that as part of the negotiations, the upfront cash component under ArcelorMittal's bid was brought down to Rs 39,500 crore, with the remaining Rs 2,500 crore being included as working capital claims to be paid later. "Negotiations between creditors and resolution applicant should be to pay more not less. Instead of increasing the amount," SCB told NCLT while adding that Rs 2,500 crore was adjusted by bringing down upfront cash payment from Rs 42,000 crore to Rs 39,500 crore. On the other hand, the remaining Rs 2,500 crore as working capital claims were to be paid to creditors by ArcelorMittal. "The end result is ArcelorMittal benefits by Rs 2,500 crore, which it would otherwise have had to pay over and above the Rs 42,000 crore. The CoC members benefit by getting principal, plus 40 per cent interest, while we get only 1.7 per cent of our principal," SCB told NCLT. Further, the allocation of repayment of dues to various creditors under the bid was done by the CoC and not ArcelorMittal, contrary to the Insolvency and Bankruptcy Code (IBC), as well as conditions mentioned in the request for proposal (RFP) invited, SCB told NCLT. "Resolution plan doesn't give a break up of creditors. Rather, the resolution applicant agreed that CoC will decide who gets what. AM washes his hands, leaving it on CoC, contrary to law (RFP and regulation) which states that resolution applicant has to decide, not CoC," SCB alleged. Meanwhile, when asked by the Bench whether this would now result in the plan eventually being quashed and Essar Steel forced into liquidation, SCB told NCLT that there was a possibility of the CoC and ArcelorMittal being asked to rework the bid.